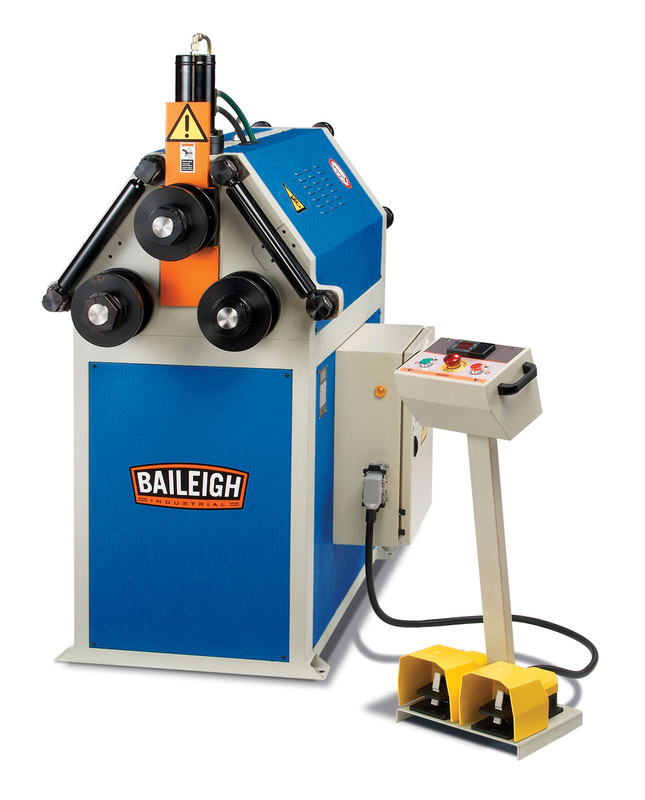 Baileighs R-H55 angle roller is perfect for roll bending round tube and pipe, sections, bar, and angle iron. This machine consists of three driven rolls that are inverter driven through a direct drive transmission that offers great power and overload protection. This roller bender is built from a heavy steel plate frame that is mounted on a rigid steel housing. Like all section benders from Baileigh Industrial, this one can be operated in the vertical mode for smaller diameters and laid on its back for horizontal bending when larger diameters are required. This powerful single pinch angle roller has industrial grade hydraulics for positioning the top roll. The top roll position is controlled by the operator and the final descent and upward position is controlled by the DRO (digital readout) programmer. The DRO makes this roller bender repeatable which is very important for those multiple piece production runs. Like all of our section benders, this comes standard with a set of segment rolls, lateral roll guides for coiling, and an operator friendly control station. Baileigh ring rolls offer great value for the investment using only the highest quality components on the market. 60" x 44 " x 68"
Flat Bar Hard Way 3.5" (.675') 32"
Specs are to be used as a base line for purchase purposes only.